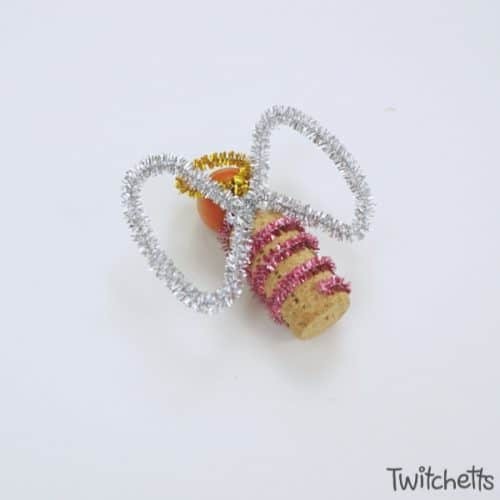 Make these fun angel wine cork Christmas ornaments to give as gifts or to hang on your tree. 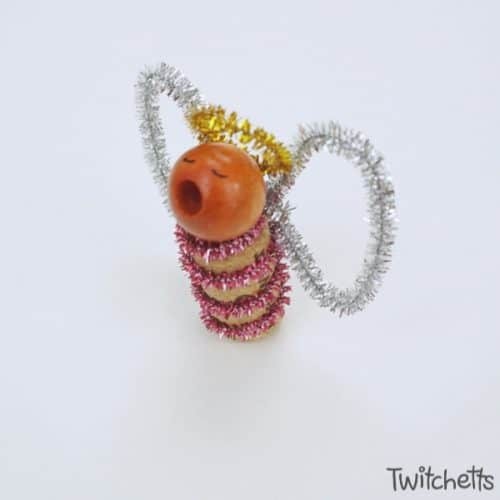 Kids will love creating these singing angels. 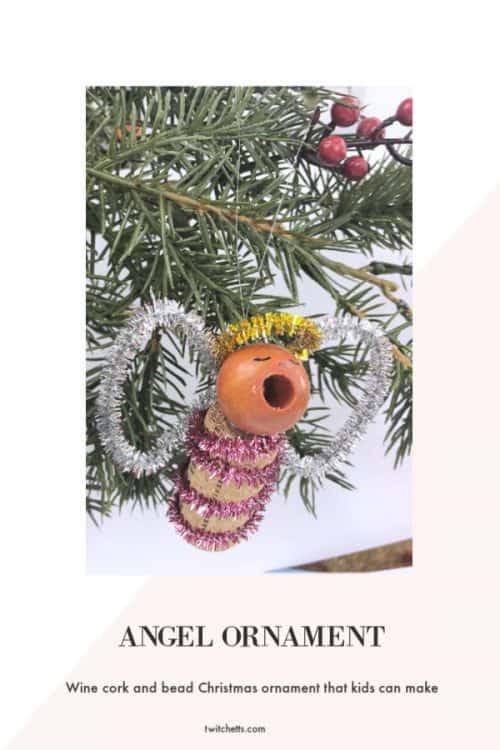 How fun to add these beautiful singing angels to your tree decor this year! 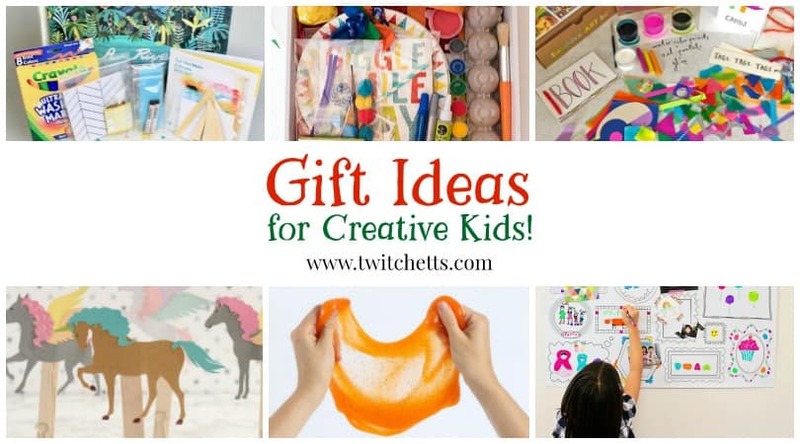 Perfect to make in batches and hand out to relatives too! 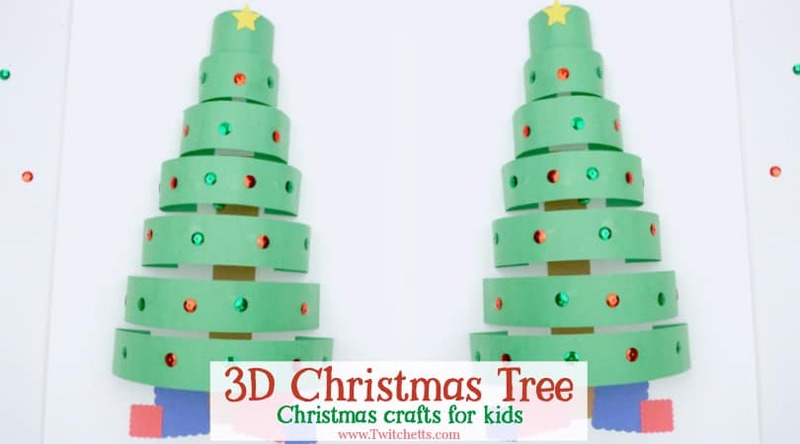 They are super simple to create and you can pick and choose the colors that will match your tree best! A Wooden Bead. With a big hole. Hot Glue and Glue Gun. 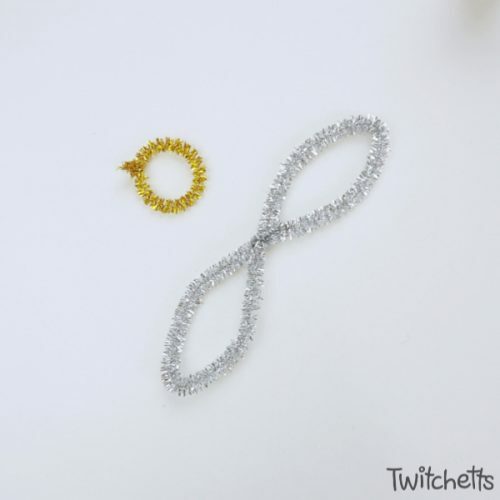 Get all your ornament supplies in one place! Check out our Amazon shop. 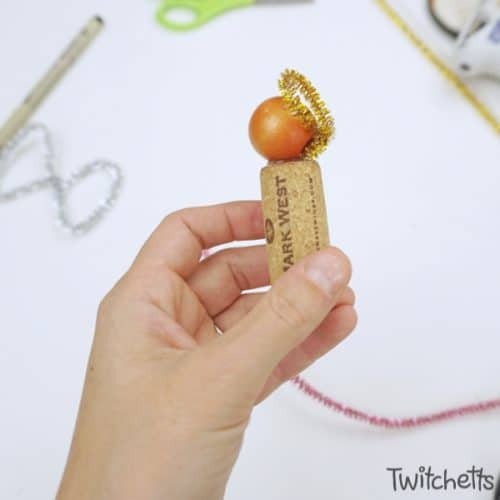 While some of our ornaments can be completed by kids alone, others will need some help or supervision from adults. This is one of them. Hot glue can burn so kids need to be extra careful. 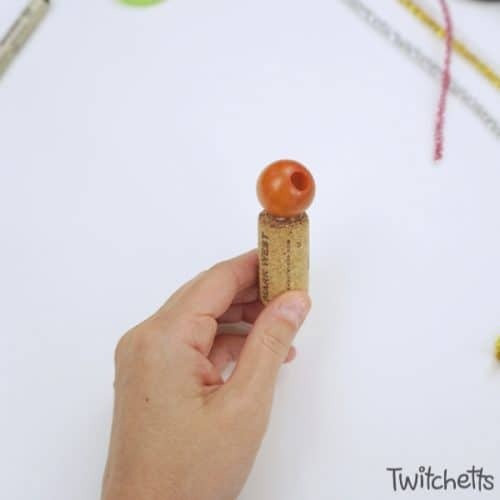 Using hot glue attach the bead to the top of the cork. Make sure to do it at an angle where the mouth is tilted up. Next, make your wings and a halo. Use the bead to measure the circle for your halo. 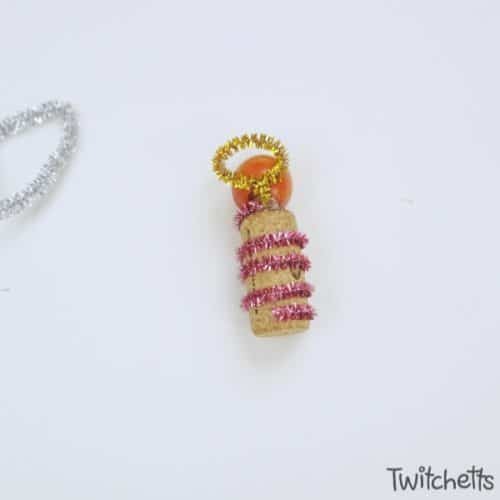 Twist and cut off most the leftover pipe cleaner. Leave a bit behind to attach. 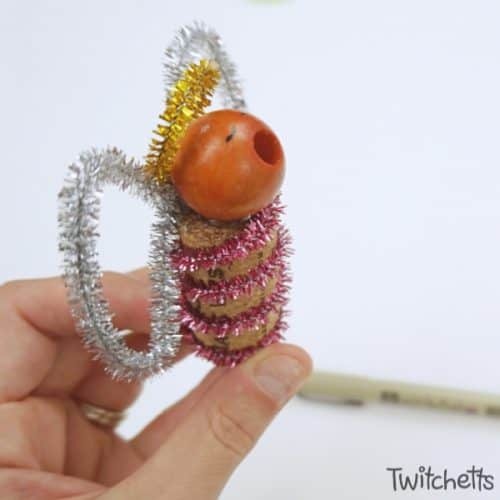 For the wings take a pipe cleaner and fold both outer ends to the center and twist. You can shape them after. Attach your halo in the same place you added the bead. 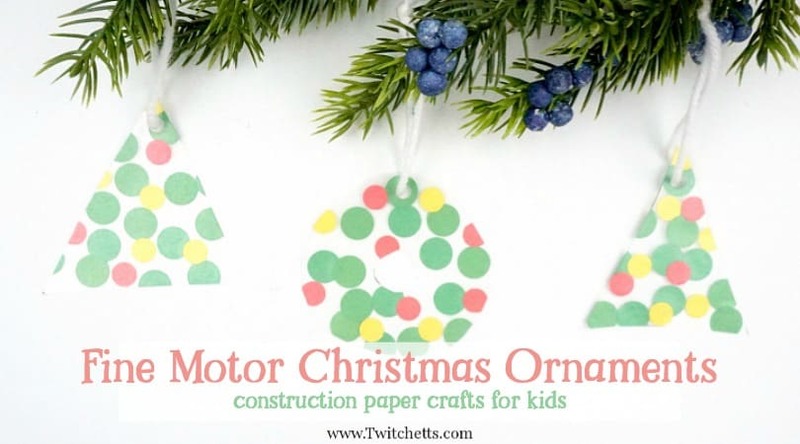 Don’t miss any of our fun ornaments that kids can make! 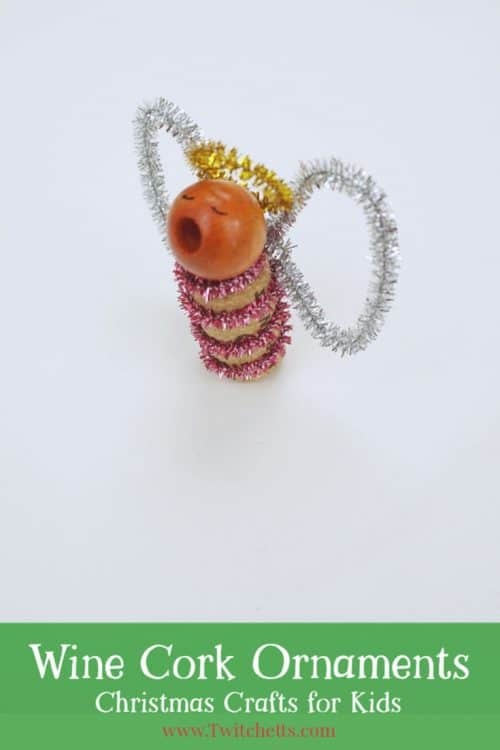 Next, add on a full pipe cleaner for your angel’s robe in the same place. 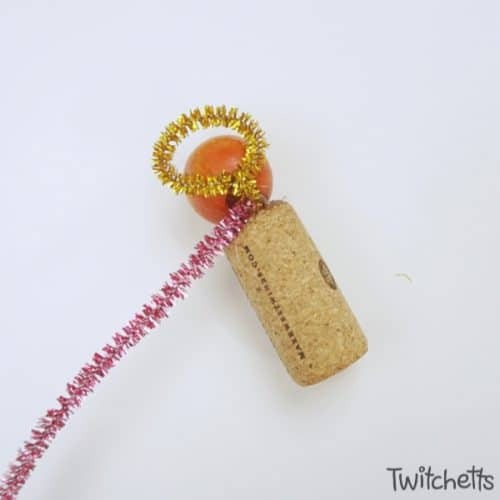 Twist it around the cork until you reach the bottom. Attach on the back side with a bit of glue. Trim if necessary to have it end on the back. Once you have shaped your wings you can add them on in the same place. Draw on eyes, and a nose if you like. 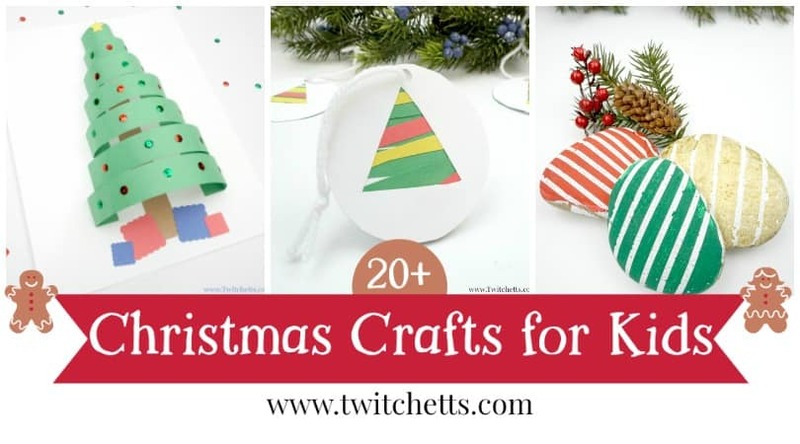 If you enjoyed this Christmas craft, pin it to your favorite Pinterest board.